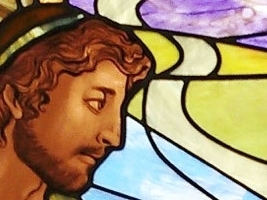 Omnibus Studios’ approach to creating beautiful stained glass begins with your vision. From abstract patterns with a modern feel to traditional stained glass with painted details, our skilled designers can offer their expertise and guide you through the first stages of the creative process. We translate concepts from the initial meeting into several loosely drawn color sketch options for your review and selection. After a direction is selected, a full color illustration is presented for your approval. 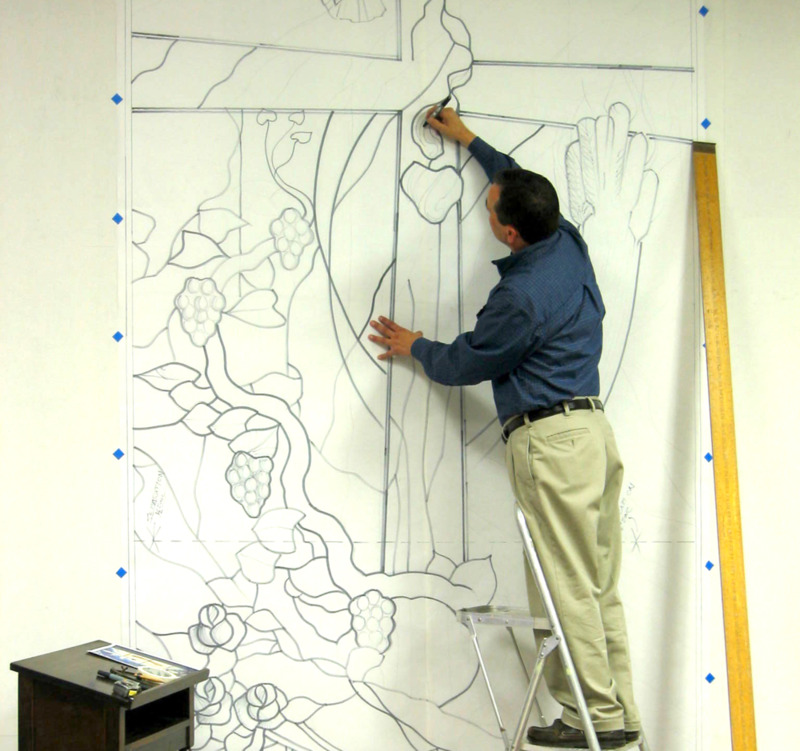 A full scale drawing is created from the final color illustration and a pattern is made from this drawing. Our crafters source glass from around the world to best suit your individual window. Glass is then cut and ground precisely to fit each pattern piece. Some stained glass windows require hand painted detailing including faces and ornaments. Personally trained by European master, Andrew Maglia, our painting staff is one of the finest in the country. Our skilled glass crafters assemble each window with great care, weaving the lead caming between the glass, soldering joints and glazing the window for added strength. The window is then carefully cleaned and reinforced. Our installation team stands by the long-term integrity of every window. In addition to installation of stained glass we can also provide custom window framing systems and insulated glass as required by your project. We use best practices and the highest quality materials to ensure the durability of your windows.